this was such a fun and unique invitation to design! the client planned a winter 'one'derland first birthday party for her sweet daughter, emma. 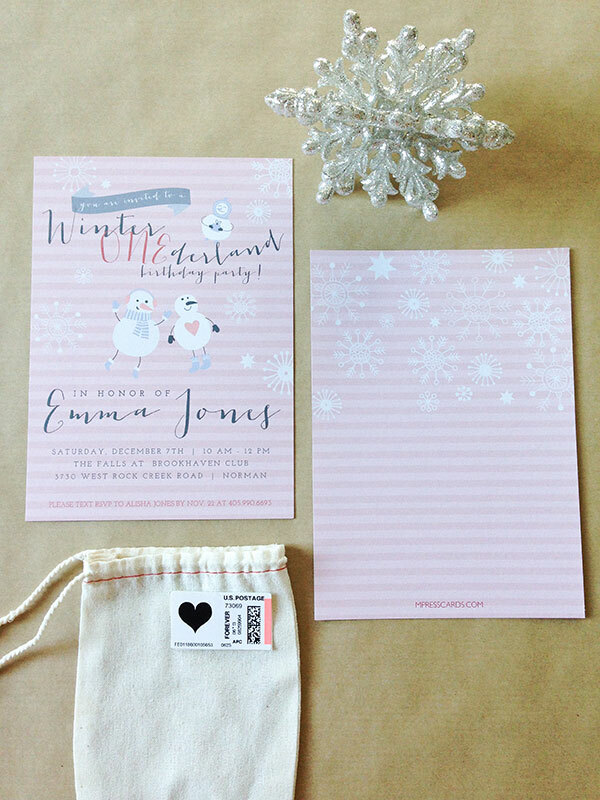 i designed a whimsical invitation complete with snowflakes and snowmen!